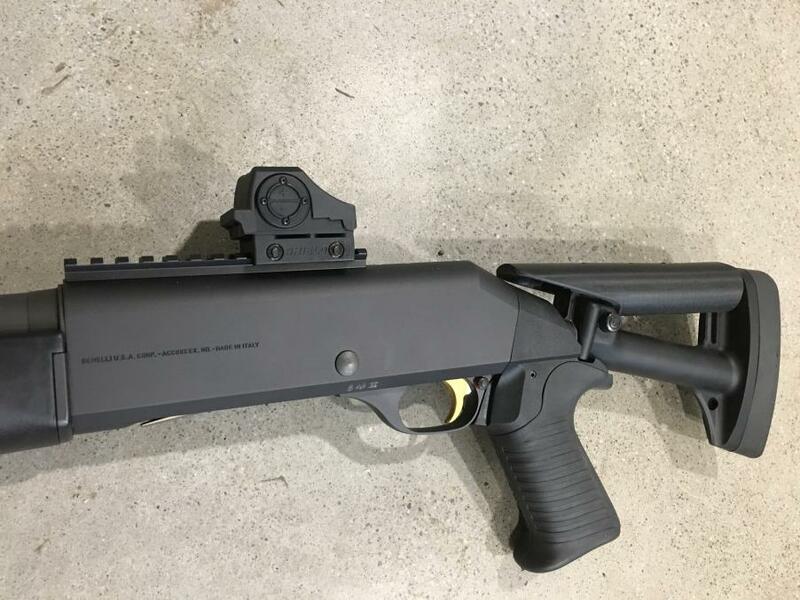 I am building a custom stock out of Raven ATI parts and no longer need the factory telescoping stock. 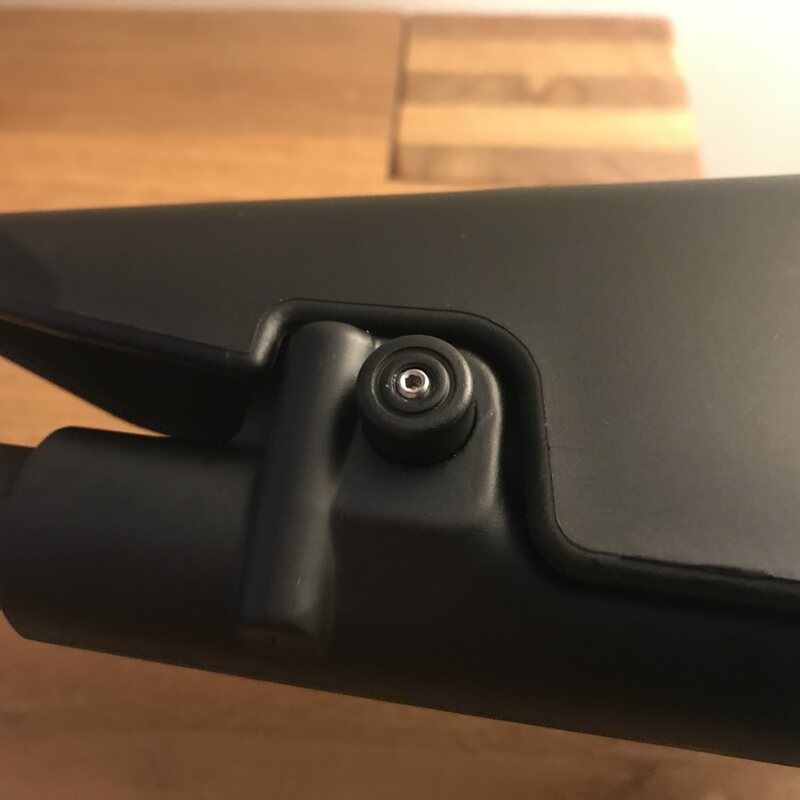 I replaced the OEM spring button and fabricated an adjustable fixed length button with internal set screw to lock the length in the standard positions. Hex key will be included. As well I fabricated a custom delrin cheek rest. The stock rest is also included. How about $SOLD with free shipping USPS priority domestic? Can you please share details about your fabricated fixed length button and how it operates exactly. 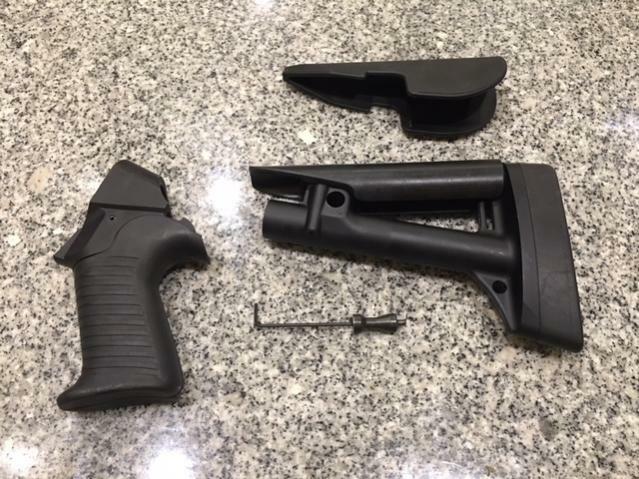 I just bought a C-stock for use in California and am looking at the different options for fixing the length in position. Drilled and taped a hole a 6-32 hole in the stock release button (This is one hard piece of steel). I cut an old drill bit approx 1/2" in length and dropped it in the hole. Installed a 6-32 x 3/8" set screw and tightened it down. Was disassembly of the stock release button required or did you drill it in place? If disassembly required, was it pretty straight forward to remove the button? Any tips? I imagine he removed the button. It's fairly easy to remove the button. Unscrew the three screws holding the cheek rest in place. Then drive the pin out that is aligned fore and aft while pressing on the button slightly. Yes button was removed, you'll never drill it in place the steel is to hard. Thanks for quick replies. I appreciate the help. 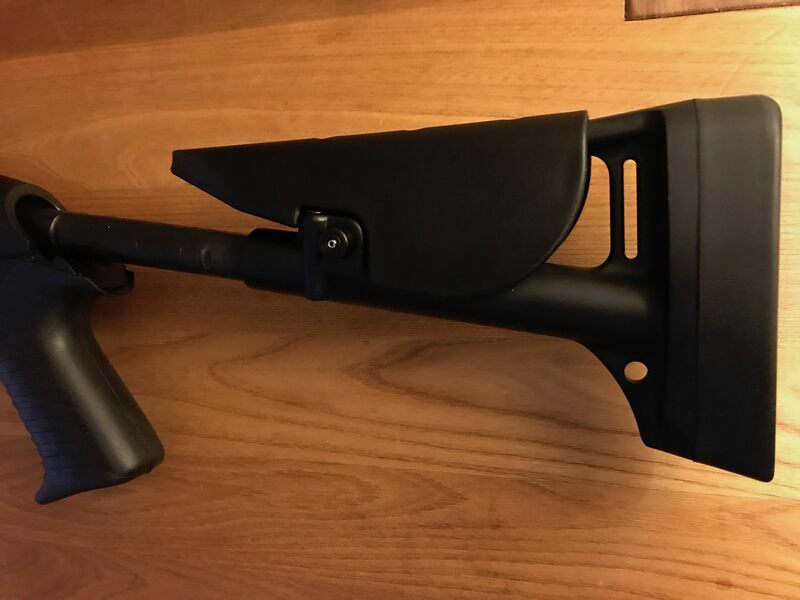 Just got the collapsible stock in. Now to work on the modification.